CLOSEOUTS. Welcome to your petand#39;s new happy place! 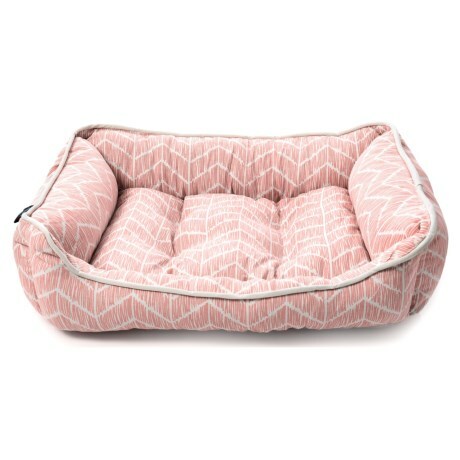 Cynthia Rowleyand#39;s Caravan Geo Chevron cuddler dog bed is filled with pillowy-soft insulation that keeps your pet in corner-to-corner comfort. Available Colors: CORAL TAUPE.